Variety wallpaper changer sees a new release. 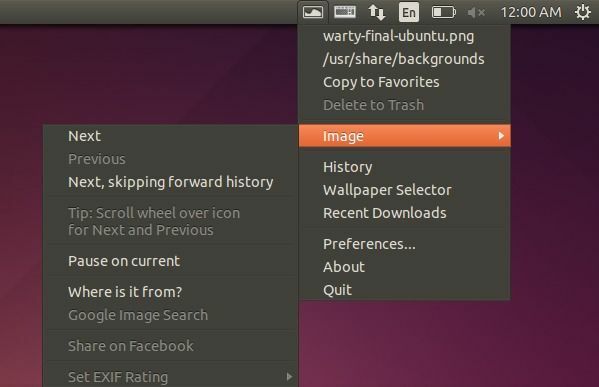 Here’s how to install it in Ubuntu 15.10, Ubuntu 15.04 and their derivatives. Variety is an automatic wallpaper changer that rotates your desktop wallpaper on a regular basis using local images or images downloaded from various online sources. It runs quietly on the background. To control it, use the indicator applet on the system tray. The latest Variety 0.5.4 was released a few days ago with UI fixes, dependency updates, and some other improvements. 2. Then you can search for and install variety package via Synaptic Package Manager after clicking Reload button. For those who don’t want to add PPA, grab the .deb installer from launchpad page. Also remove/disable PPA through “Other Software” tab of the “Software & Updates” utility (search it from the Dash). “in Ubuntu 15.10, 15.04” and 14.04 and 12.04…. Variety is available for all currently available versions of ubuntu.